Washington, D.C. 一 On Wednesday, June 20th, NFFC, ActionAid USA, and the Partnership for Policy Integrity hosted an event discussing the myths around bioenergy. To begin, two short films were shown: “Get Big or Get Out: the Struggle for Fair Food Prices” and “The Mighty Buck: Agribusiness in Iowa,” followed by a 30-minute documentary, “BURNED: Are Trees the New Coal?” Following the screenings, ActionAid National Campaigner Tristan Quinn-Thibodeau moderated a panel discussion with experts Patti Naylor, an Iowa farmer and NFFC member; Dr. Mary Booth, Director of Partnership for Policy Integrity; and Kelly Stone, Senior Policy Analyst at ActionAid USA. They further examined the environmental, socio-political and agricultural issues surrounding biofuels. ActionAid produced the first two films to shine a light on the tough conditions under which modern farmers work. Artificially low prices and constant pressure to scale up production have made it increasingly difficult to make a living as a small family farmer. “BURNED: Are Trees the New Coal?” by Lisa Merton and Alan Dater explores the growing market for biofuels and focuses on its producers and consumers. Biofuels are plant-based energy sources that can replace traditional fossil fuels for energy production. 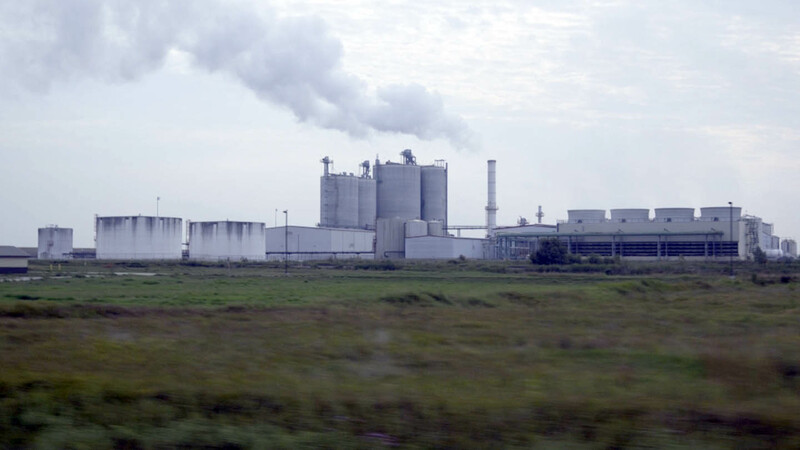 Corn, soybeans, and sugarcane are all crops used in the production of ethanol. In an effort to combat climate change, both the federal government and private companies have turned to alternative energy sources that are better for the environment. Bioenergy is often hailed as a renewable energy that can replace more destructive energy sources like fossil fuels. However, both biofuel and biomass energy production have severe drawbacks that are often overlooked when considering their sustainability. 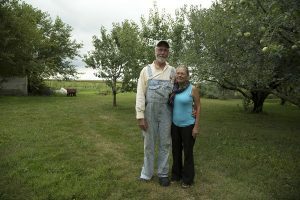 Bioenergy takes advantage of communities where the material is grown, encourages exploitative agricultural techniques, and, though hailed as climate friendly, still emits large amounts of carbon. 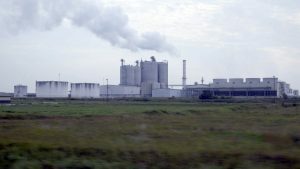 Biofuels programs, such as the Renewable Fuel Standard (RFS), were implemented to guarantee biofuel consumption in the United States. These programs succeeded in increasing the demand and therefore the price of biofuel crops – but in doing so, they drove up production. Iowa farms used to grow an average of 34 different crops, but today that average has dropped to two: corn and soybeans. Demand for biofuels has contributed to that change. Prices for corn and other biofuel crops have plummeted this year, proving that biofuels cannot guarantee family farms a fair price over the long term. Instead, farmers need policies that change our agricultural system. Patti Naylor, a farmer who grows both corn and soybeans, discussed the need for price floors, supply management, and the establishment of a federal grain reserve. These policies will ensure farmers receive a fair and stable price for their crops, while also protecting the food supply. Naylor offered her perspective on the politics of biofuel production: “landscapes reflect values of those in power, and we are not in power” — industry and big business is in control. Kelly Stone of ActionAid USA concurred: the RFS “isn’t working for anyone,” she said. While biofuel production isn’t helping farmers, biomass production is bad for the environment. Producing energy from biomass involves the burning of wood pellets and other organic material. This is a blossoming industry in Europe and the United States, especially in the American South. “BURNED” exposes the false claims upon which the biomass industry is based. Biomass energy produces 50 percent more CO2 than burning coal. Forests are one of the best carbon sinks – one of the best strategies fot mitigating climate change. And yet, in the last 30 years, the American South has lost over 33 million acres of forests. We should be growing more forests, not cutting them down to burn. The biomass industry is supported by massive government subsidies. These subsidies, in turn, are based on a flawed system of carbon accounting. Emissions for biomass energy are traditionally counted when the trees are harvested, and not when they are burned, to prevent double counting. The United States, however, does not report these emissions internationally because the US is not a signatory to the Kyoto climate agreement. Additionally, when a company plants new trees to replace those burned, it often counts the negative emissions gained by the new trees as if they were a full grown forest rather than a field of saplings. These two errors sustain a false narrative that biomass is a strong alternative energy source. The films and discussion brought up questions about how much trust we can put in the US government to make decisions in favor of the country’s farmers, consumers, livestock and natural environment rather than its big businesses. The event was a call to action for reforms on biofuel and biomass production and shifts in the economic power dynamic that currently benefits industrial agriculture while wreaking havoc on smaller farms. This entry was posted in Blog and tagged biofuels, Land Grabs. Bookmark the permalink.